<canvas> element is used to draw the graphics by using script. <canvas> tag is only container for the graphics we have use the Script to draw the graphics. <canvas> tag supports Global and event attributes. <canvas> tag belongs to Flow content, Phrasing content, Embedded content and Palpable Content category. HTML4 does not support <canvas> tag. <canvas> tag new in HTML5. 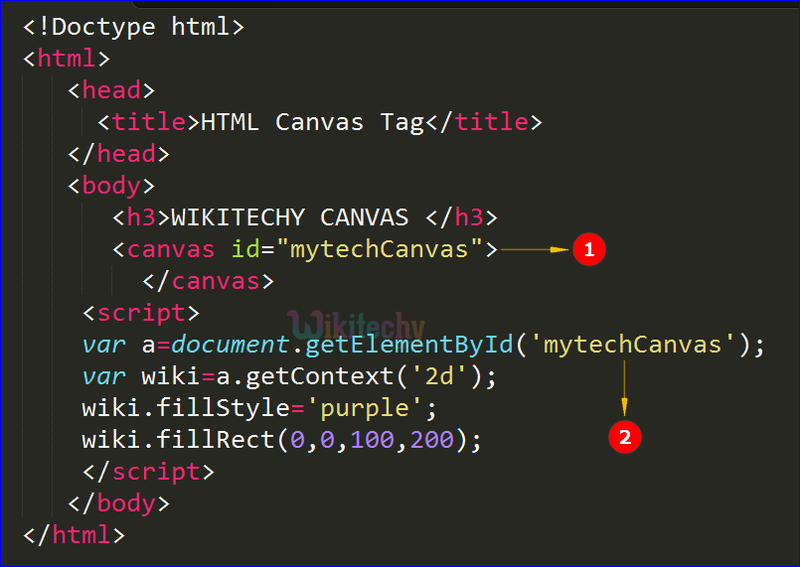 <canvas>tag is given for graphics by using script in HTML page. “var a” declared as an object for the id “mytechcanvas” the <canvas>tag. The output shows the 2d image of the rectangle by using canvas tag. label text Yes Yes To define the label the option-group.